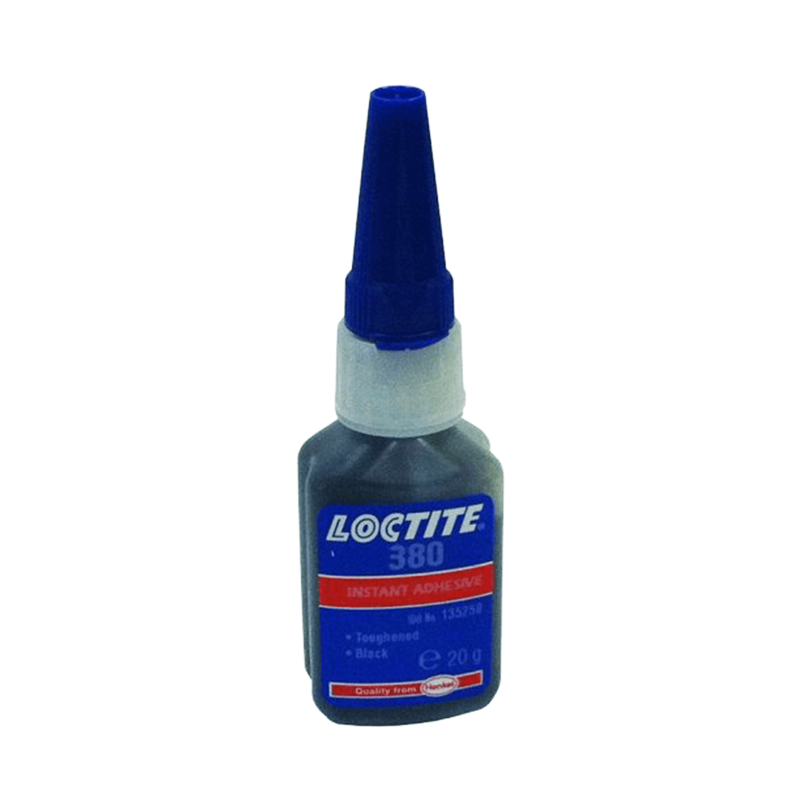 Loctite 380 is a rubber toughened adhesive with increased flexibility and peel strength along with enhanced resistance to shock. Under normal conditions, the atmospheric moisture initiates the curing process. Although full functional strength is developed in a relatively short time, curing continues for at least 24 hours before full chemical/solvent resistance is developed. The rate of cure will depend on the substrate used. The table below shown in the data sheet below shows the fixture time achieved on different materials at 22°C / 50% relative humidity. This is defined as the time to develop a shear strength of 0.1 N/mm². The rate of cure will depend on the bondline gap. Thin bond lines result in high cure speeds, increasing the bond gap will decrease the rate of cure. Where cure speed is unacceptably long due to large gaps, applying activator to the surface will improve cure speed. However, this can reduce ultimate strength of the bond and therefore testing is recommended to confirm effect.